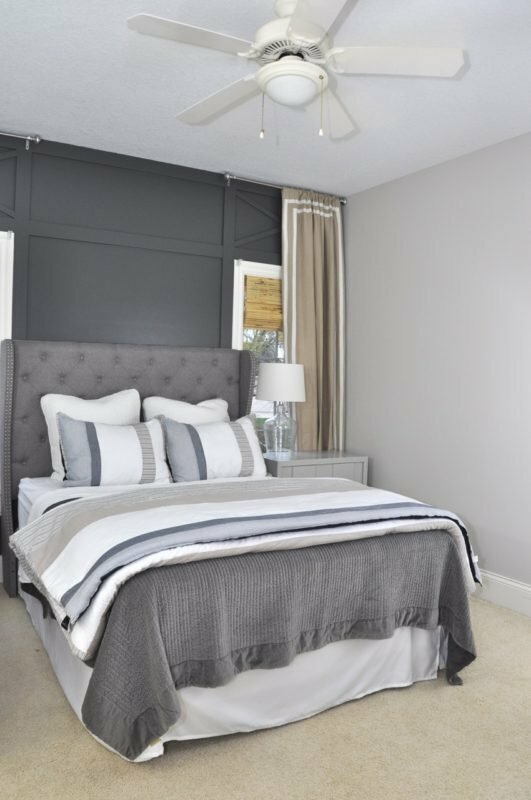 While light gray emerged out of a sea of white paint a few years ago as the new neutral; dark gray wall paint colors have been slowly making their way into interior design. 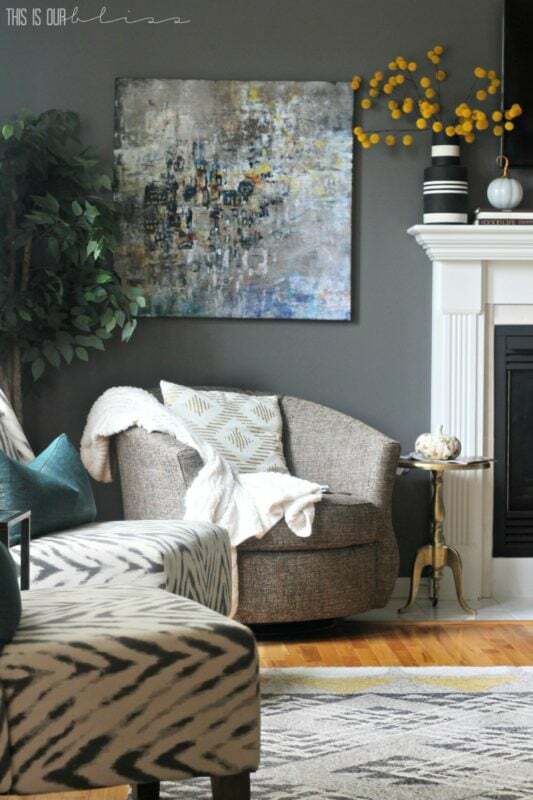 Dark gray wall paint is one of those colors that looks good with a wide array of accents colors, and wood tones, and it lends a beautiful richness to spaces. 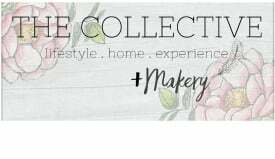 While white has been the leading trend for a really long time, because it goes so well with with farmhouse style, boho decor and Mid-century modern with pops of pattern and color such as vintage Kilim and oriental rugs are slowly making their way in. 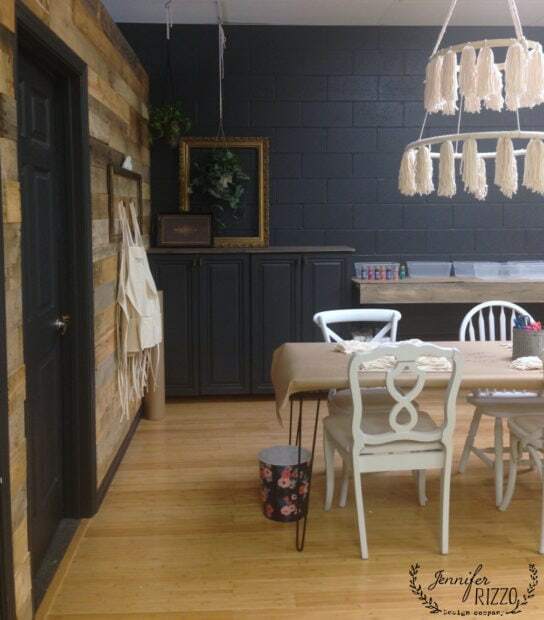 This last summer,we painted the back wall in the Makery portion of our retail store, and some of our display pieces a dark, rich gray called Wrought Iron by Benjamin Moore, and I love how it makes the cinder-block walls look not so prison-y, and the dark color makes everything blend. It really hides a lot of the flaws too,which is nice in a 60+ year old building. 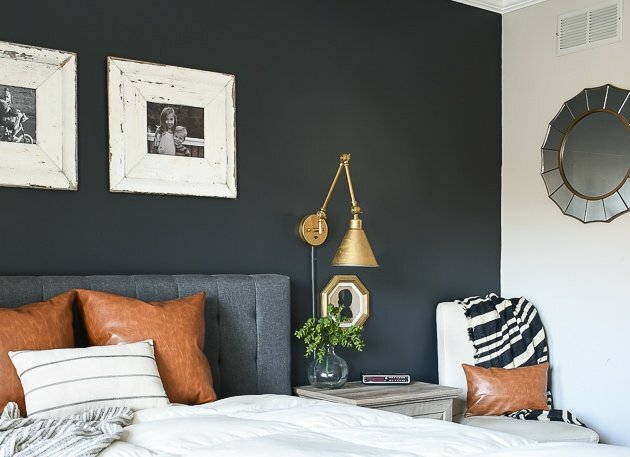 If you’re thinking about taking that jump to a dark gray wall paint color, the one thing to keep in mind, is that you can use it in an entire room, but that could lead to a cave like feel if the room is on the smaller, or less well-lit side. 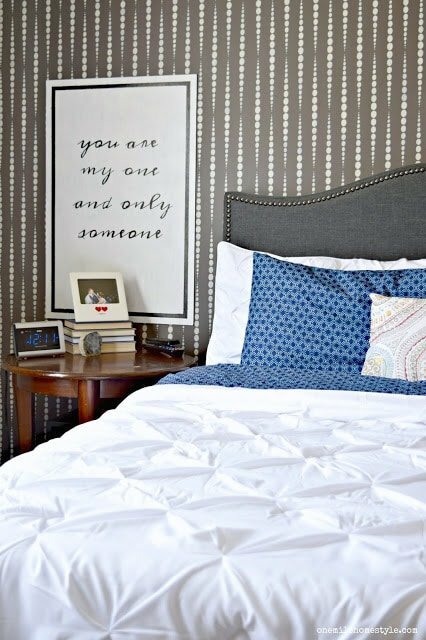 In smaller space, it’s really effective as a single an accent wall. 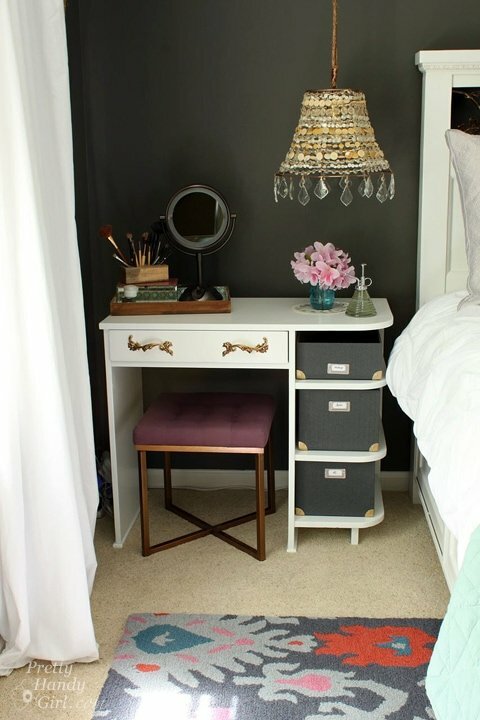 If you’re thinking about taking that leap to the dark side, here are some spaces for inspiration with dark gray wall paint colors. You can also check out this room, and this room. So what do you think? Are you just getting into the light gray or white wall phase now, or are you already tired of it, and ready to go bolder, such as a dark gray wall paint accent wall? 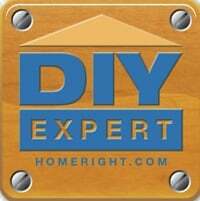 If you are looking for a light gray wall paint color, Fox Hollow Cottage always picks the best light grays! 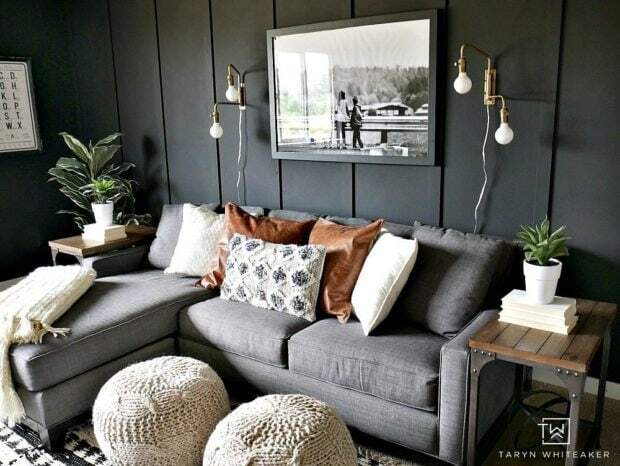 Thanks so much for sharing our dark gray family room wall! Love these deep, bold hues on the wall! !